Johnson County Kansas Foreclosure Help | There is a better option than Foreclosure! There is a better option than Foreclosure! Bank of America, as part of their Equator system update for short sales has just released their agent locator for Johnson County Kansas. Bank of America is trying to make is easier to locate approved real estate professionals who have completed short sales with Bank of America using the Equator short sale processing system. Including Overland Park, Olathe, Leawood, Lenexa, Shawnee, Prairie Village, Mission, Roeland Park, Gardner, Stilwell, Spring Hill and more….. The Russell Home Team specializes in Johnson County Kansas Homes and Real Estate for sale. We are tech savvy realtors with over 12 years experience. ………. The new data is in and foreclosures for Johnson County Kansas are down, way down. The mortgage lenders have realized that foreclosure is not their best option. It is time consuming and it is expensive. They are now engaging the short sale as the best option to handling delinquent mortgages. Short sale has become the solution of choice for more lenders dealing with delinquent loans in Johnson County Kansas. While their are still many homes being foreclosed, it is usually the homeowners that is unwilling to seek other options than the lender. The lenders have finally made the decision to seek short sale first and many are calling the homeowner to initiate it. Many lenders are even providing considerable amounts of money to the homeowners if the short sale is succesful. It is not uncommon to see homeowners receive $2500 at closing and in some case as much as $20,000 to complete a short sale instead of foreclosure. Are you behind on payments? Have you seeked councel? Foreclosure is not the best option and there is a simple reason. It is call a deficiency judgement. It is the difference between what you owe and what they eventually collect by reselling your house. You can be sued for that amount and even have your wages garnished. With a short sale we can negotiate with the lender to make sure that any deficiency judgement will be waived and that the short sale amount received at closing is final settlement on the debt. Sounds a lot better than a deficiency judgement? How long do I have to wait after a short sale to buy a Johnson County Kansas Home? One of the many questions we are asked quite often is, “When can I buy a home again after I complete a short sale” In Johnson County Kansas? If you are a potential home buyer in Johnson County Kansas the information below will give you a good idea of when you could be ready to be homeowner again. Although there are many factors in determining your eligibility to purchase again after a short sale, the information below should help you get a clearer understanding of the differences of the minimum guidelines when you can buy if you sell your home via short sale vs foreclosure. Overland Park, Kansas, November 2, 2011 — Michael Russell with Realty Executives of Kansas City has earned the nationally recognized Short Sales and Foreclosure Resource certification. The National Association of REALTORS® offers the SFR certification to REALTORS® who want to help both buyers and sellers navigate these complicated transactions, as demand for professional expertise with distressed sales grows. The certification program includes training on how to qualify sellers for short sales, negotiate with lenders, protect buyers, and limit risk, and provides resources to help REALTORS® stay current on national and state-specific information as the market for these distressed properties evolves. To earn the SFR certification, REALTORSÒ are required to take one core course and three Webinars. For more information about the SFR certification, visit http://www.REALTORSFR.org or call 1-877-510-7855. You hear the car door close and you look out the window, who is this strange person coming towards my door? Well if your home is in pre-foreclosure they may be a predator, a wolf in sheeps clothing. If you have been contacted by one of these people by phone, mail or a kind knock on the door, simply say no thank you. If by chance you have spoken to one of these people? Do yourself a favor and cut off all communication and by no means ever sign anything and I do mean anything without approval from your attorney. If you are in foreclosure I don’t envy your position but I don’t want to see your tough situation go from bad to worse. Find honest help, it is out there! If you are facing foreclosure you will find out that everyone is your friend and they are just dying to help you. Now I am not telling you to be an ostrich and bury your head in the sand, I am suggesting that you take control of who helps you. The first thing you will need is a good attorney to advise you of your rights. Yes, you do actually have rights in a foreclosure and it is best to explore them with somebody who understands them. Secondly you will want a good Realtor who knows and understands short sales. If you cannot save your house, the next best thing you can do is save your credit and your families financial future by selling the home before the bank forecloses and takes it back. Lastly you will want a good accountant / financial adviser. Life is full of second chances, be prepared for yours! There are 2 big misconceptions about foreclosure out there, 1 there are no other options available and 2my lender won’t help me they only care about foreclosing me out of my home. Why as homeowners do we believe that we have no other option than to just let the bank foreclose our home when we get behind on payments? Is it that we don’t want help or that we just don’t know where to look? A current statistic shows that almost 50% of the homes foreclosed in the United States happened without a single contact between the homeowner and the lender. What choice did the lender have? That is like not showing up for work for a month and wondering why you got fired? Did you know that your lender is legally required to help you avoid foreclosure. Don’t believe me? It is right there in that letter you didn’t open. Well I think you got my point, so what are my options? There are many options and they are all better than foreclosure, which one you choose depends on whether you wish to stay in your home or if you have made the decision that keeping your home is no longer an option. 1. Loan Modification- In the last 2 years our govenment has enacted several new laws to help struggling homeowners, one of those programs allows you to modify the current terms of your mortgage. if you are eligible for this program you may be able to lower your monthly payment for a fixed period of time and keep your home. Your lender is required by law to help you seek this option. If you have been turned down for a loan modication or no longer wish to stay in your house? See options 2 & 3. 2. Deed in lieu of Foreclosure- In this scenarion the lender takes back the deed to your home voluntarily instead of pursuing a foreclosure. while in my option this is not the best option, it is still much better than foreclosure. If you are going to pursue this with your lender, try to get them offer a small cash settlement to assist you with your moving costs. 3. 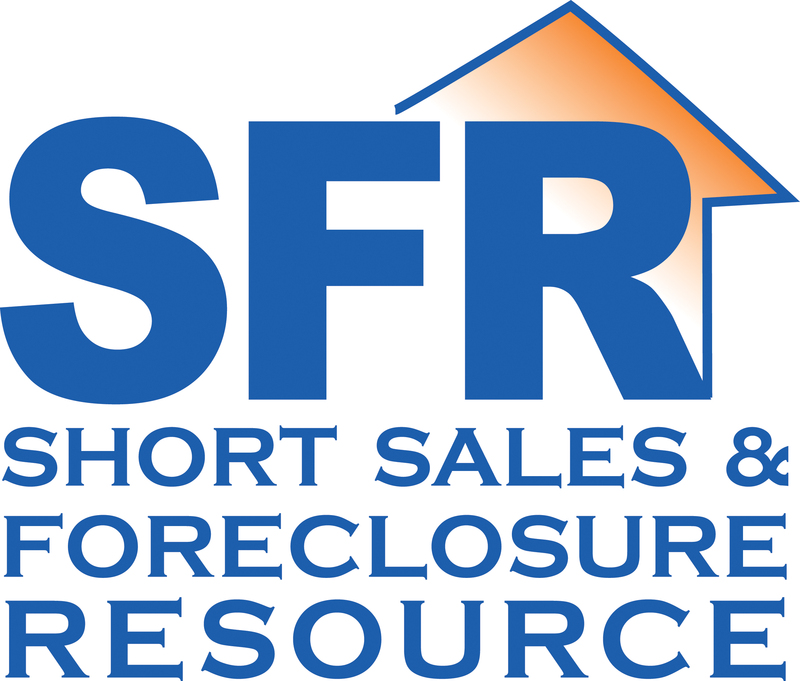 Short Sale- For most homeowners facing foreclosure this will be your best option. In a short sale you will be asking your lender to allow you to sell your home and for the lender to accept less than you currently owe to pay off the loan in full. Why would your lender do this? Simple, they could lose a lot more by foreclosing your home. One of the most attractive reasons to request a short sale is the ability to request that your lender forego their rights to seek a deficiency judgement against you. 4. Foreclosure- This is final judgement, in Kansas foreclosure is a legal action. The lender will have an attorney file with your County’s court to seek foreclosure, this process will usually take several months and the lender at their own discretion can slow the process down or stop the preceedings. The final step in your home being foreclosed in when it is SOLD on the courthouse steps. Foreclosure is and should be your absolute last option. Once your home is foreclosed your lender reserves the right to sue you for a deficiency judgement. What? How much did your borrow? How much did the house sell for? the difference between the 2 is the deficiency. Do you want to be paying for that for the rest of your life? Looking for honest help? Visit the link below for Johnson County Kansas foreclosure and short sale help. Do you need help getting out from under your mortgage debt? As the economy struggles to improve, many of us have experienced the unthinkable; a decline in the value of our home and a change in financial circumstances. For most of us, our home is our biggest investment; a tangible guarantee of financial security. Fast forward to 2008 and many have seen that financial nest egg turn into a financial burden as we struggle to make mortgage payments on homes that are worth less than we owe. Struggling to pay for our homes is a phenomenon that crosses all income ranges and housing prices. While the Johnson County Kansas economy has been more stable during the recession than other parts of the country, it has not been immune to foreclosures and short sales and the trend is expected to continue. Leaving a home we love is difficult but there are options other than foreclosure that ease the task and provide a path to homeownership in the future. One of the best alternative to foreclosure is to short sale your home. A short sale may occur when your lender agrees to accept less money than you currently owe on the property. The lender allows you to sell your home for a percentage of its current appraised value, not a percentage of how much you actually owe. If you are having trouble keeping up with your mortgage, please review this site for information on short sales. The Russell Home Team has eight years of experience with short sales and a perfect track record in closing every one. Please click on this link to ask questions or obtain additional information. There is help for you today!